Main Building, The "Black Oaks at the Dells"
View up drive towards the main building with wrap-around porch. A bicycle is parked at the bottom of the stairs. Guest cottages are behind the main building. 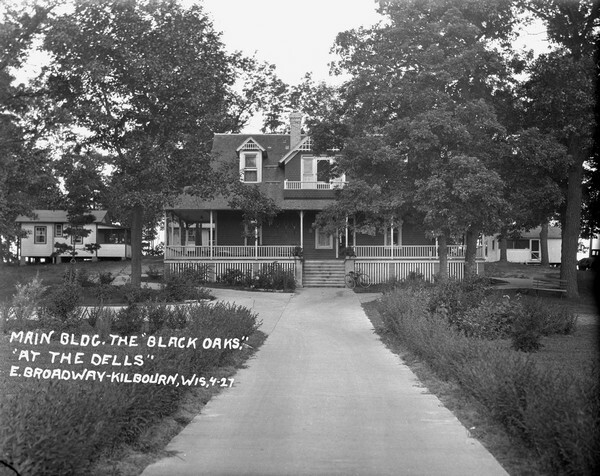 One of 8 photographs of the "Black Oaks at the Dells" by Sherwin Gillett. Not all images are available online.